Mrs. Tina Renfro is an 11 year veteran with the Mohave Valley School District. 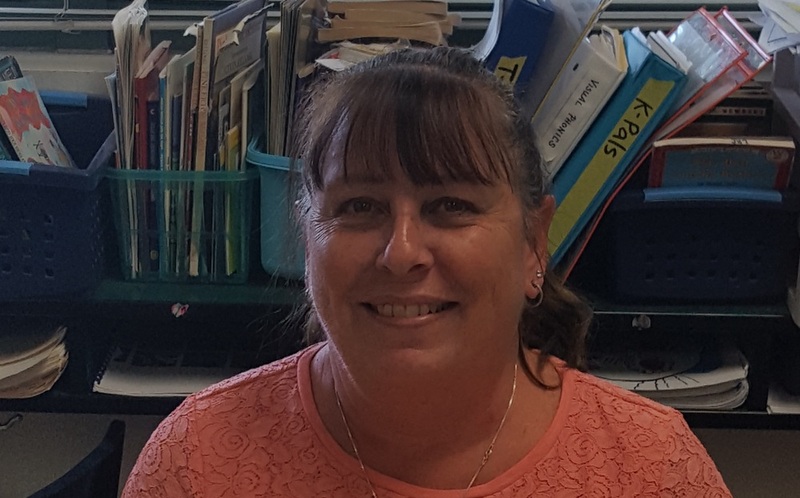 Mrs. Renfro currently works as a paraprofessional on the Camp Mohave Elementary Campus. Originally from Salt Lake City, UT, Tina has called 11 different states home in her life. The district is excited that she has chosen to stay with us all these years as Mrs. Renfro comes to work every day with a smile and faces challenges head on. She never stops trying new ideas and methods in an effort to improve and help her kids. She says that the most rewarding part of her job is when a child finally gets it. The look on their face is priceless and worth every bit of struggle to get them there. Thank you Mrs. Renfro for being a part of the Mohave Valley Team.